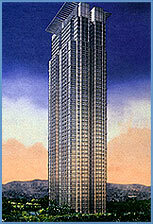 The building where the condo is located is called PRESIDENT TOWER. It is at No. 81 Timog Avenue corner Scout Ybardolaza, South Triangle, Quezon City. It is very near GMA-7 and the GMA-Kamuning MRT station. The condo has a net usable floor area of 41.13 sqm. It has a toilet with a bath-tub. The flooring and kitchen counter top is marble. It can be converted into a 1-br unit and is located on the 16th floor facing the south. 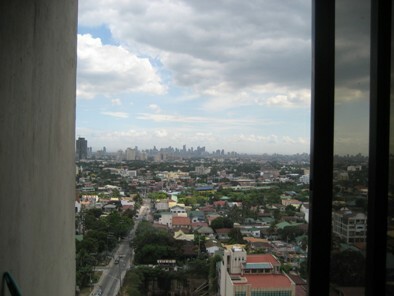 From the unit, you have a panoramic view of southern Metro-Manila, the Ortigas and Makati skylines. Condo dues is at Php 30/ sqm per month. The selling price is Php 1.8M. Currently, it is being rented out at Php 8,000 per month.